The sun has officially set on a beloved Lower East Side movie theater, as new owners prepare to replace the 19th-century building with a boutique office building. On Sunday, moviegoers watched Darkest Hour, the last film to be screened at Landmark Sunshine Cinema. 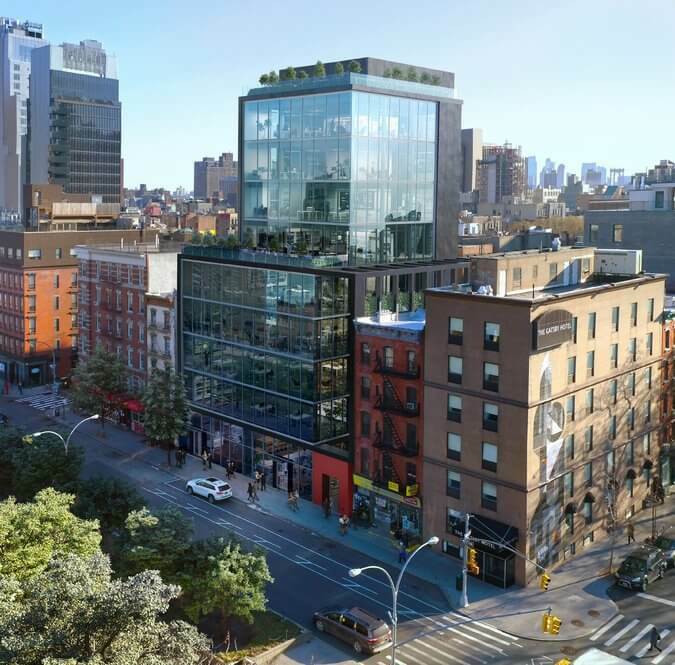 The theater, a neighborhood mainstay since the early 2000s, will be supplanted by a nine-story commercial property designed by New York's Roger Ferris + Partners. The 65,000-square-foot structure features a not-so-contextual glass curtain wall facade, as well as ground floor retail. Lucky tenants will be steps away from delicious knishes at Yonah Schimmel's. The building was a theater once before Sunshine Cinema. Originally consecrated as a Dutch Reformed Church, the building was later converted into a venue for movies and Yiddish vaudeville. Between then and Sunshine's opening in December 2001, a hardware store used the building as a warehouse. The New York Times reported the movie theater's operator, Tim Nye, partnered with Los Angeles–based independent movie theater chain Landmark Theaters to bring Sunshine to life. 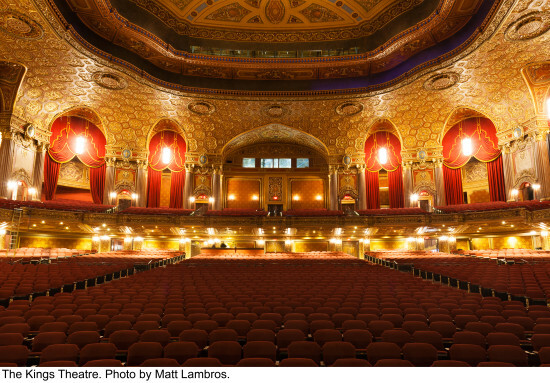 Landmark Theaters was looking for a home base in New York City, and the partnership with Nye offered the perfect opportunity for expansion. Like so many other local businesses to close up shop, Nye believed that the rent for the building would skyrocket and tank the business. Developers East End Capital and K Property Group bought the building for $31.5 million last year, and yesterday, local blogger EV Grieve posted pictures of the theater's discarded seats in a dumpster outside the building. Even though Sunshine Cinema was doing very well financially, Nye predicted the landlord will raise the $8,000 rent dramatically when his 25-year lease ends on January 31. Demolition begins in March, and Ferris's building (dubbed 141 East Houston Street) will be complete in early 2019. 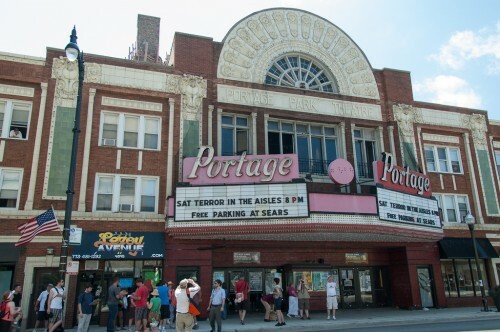 Supporters of the Portage Theater breathed a sigh of relief Thursday when it was announced a local church would withdraw their bid to acquire the 92-year-old cinema on Chicago’s northwest side. A hearing with the Zoning Board of Appeals had been scheduled for Friday, from which Chicago Tabernacle sought a special use permit to convert the theater into a house of worship. The Portage is known around Chicago for its Silent Film Festival and as the set for some scenes in Public Enemies, a 2009 film about bank-robber John Dillinger. 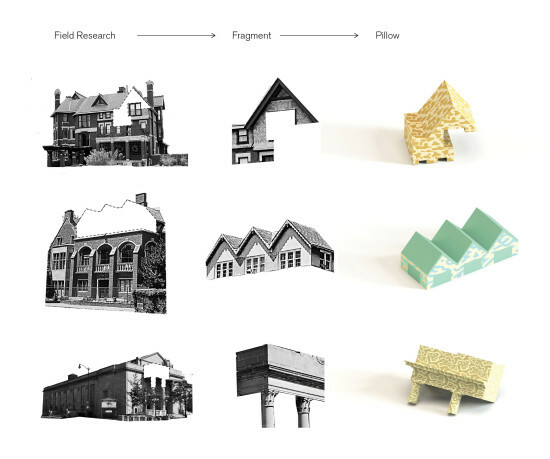 It had become somewhat of an anchor for economic development in the Six Corners business district of its Portage Park neighborhood, after a 2006 renovation pulled the aging theater out of hard times. “Save the Portage” became a rallying cry around town when the church announced their plans in March. Roger Ebert and 45th Ward Alderman John Arena were among the many who flocked to the theater’s side. Its management applied for landmark status with the city in April. Chicago Tabernacle is reportedly in “final negotiations” for another site, potentially a defunct movie hall at 3231 N. Cicero Ave.